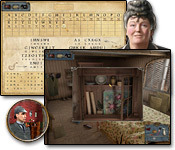 There are a number of PC detective games that have been based on the popular detective stories from Sir A.C. Doyle's Adventures of Sherlock Holmes, ranging from hidden object games to large file mystery adventure games. These mystery detective games for computer are an excellent choice for fans of the most famous fictional detective Holmes and his faithful assistant Dr. Watson. As well as great for anyone who enjoys to play HO and puzzle games - searching for clues and evidence and using them together to crack the mystery. 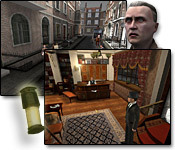 This post is a full list of the Sherlock Holmes PC games that you can get online as full version downloads. ** Update: The next Sherlock Holmes PC game, The Testament of Sherlock (and will also be available on PlayStation 3 and Xbox 360 consoles) is set for release autumn 2011 by developers Frogwares and publishers Focus Home Interactive. Charles Baskerville is the latest victim of a centuries-old curse! Now, Henry Baskerville needs Sherlock Holmes’ help to break the curse, before another murder occurs! Travel to legendary Baskerville Hall, and figure out exactly what is going on, and what the mysterious Hound of the Baskervilles is after. Crack the case in this incredible Hidden Object Puzzle Adventure game, Sherlock Holmes – Hound of the Baskervilles! Get the full version or free demo online at: Sherlock Holmes and the Hound of the Baskervilles. 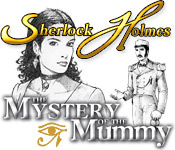 Help Sherlock Holmes, the famous detective, solve a mystery involving the disappearance of Lord Montcalfe, a famous archaeologist specializing in ancient Egyptology, in a mansion protected by Egyptian magic. The mansion is like a museum full of stunning artefacts and secrets. Go forward to the heart of the sanctuary and discover the Mystery of the Mummy. 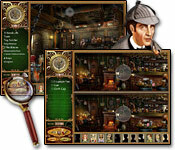 Get the full version Sherlock Holmes PC download game: Sherlock Holmes - The Mystery of the Mummy. Help Sherlock Holmes solve a string of grisly murders! Team up with Dr. Watson to scour exquisitely detailed scenes, track down clues, and find the person responsible for these crimes. Use your detective skills and piece together this mystery, as you dive into a carefully constructed 19th century. Sherlock Holmes - The Secret of the Silver Earring is an Adventure game full of excitement and suspense and classic characters. Get the full version or free demo online at: Sherlock Holmes - The Secret of the Silver Earring. Travel the world and play as the world’s greatest detective, Sherlock Holmes, and his faithful assistant, Dr. Watson. Investigate a mysterious series of disappearances and use your wits to track down a dark group of Cthulu-worshippers. Follow the clues and solve the mystery of Sherlock Holmes: The Awakened, while being fully immersed in this Adventure game. Warning: Sherlock Holmes: The Awakened contains some graphic content and mentioning of the occult. Get the PC download game full version or free trial: Sherlock Holmes: The Awakened. Get the PC or Mac full version download game or a free demo of: Sherlock Holmes: The Mystery of the Persian Carpet. The Lost Cases of Sherlock Holmes 2 - The Lost Cases of 221B Baker St.
Return to 221 Baker St. and help Sherlock Holmes solve brand new cases! Take on the new mysteries and explore beautiful Victorian London! Interact with Watson, Mycroft, Inspector Lestrade, and tons of other characters. Use your Hidden Object skills to take on the world’s toughest cases and catch clever crooks. Take on tough puzzles and find valuable clues as you solve The Lost Cases of 221 B Baker St.! Get the PC download game full version or free trial: The Lost Cases of 221B Baker St.
Dust the magnifying lens and get ready to scour London locations as Sherlock Holmes. Join Watson, Mycroft, and Inspector Lestrade along with other historical characters in this multi-dimensional Hidden Object game. In the Lost Cases, you'll investigate hundreds of potentially relevant clues in 16 cases of forgery, espionage, theft, murder and more. 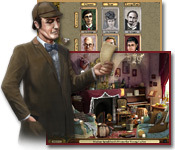 Use your skills at deduction to narrow down the culprits in The Lost Cases of Sherlock Holmes. 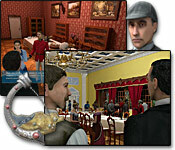 Get the Mac/PC download game full version or free trial: The Lost Cases of Sherlock Holmes. For more Holmes games for computer. See also my new post: Frogware's Sherlock Holmes PC Games List. For more Victorian PC detective games, see my previous posts on detective games for PC based on popular period detective fiction from Edgar Allen Poe and Wilkie Collins: More Top Detective PC Games. * Best Downloadable Nancy Drew Games for PC. * Agatha Christie PC Games List. 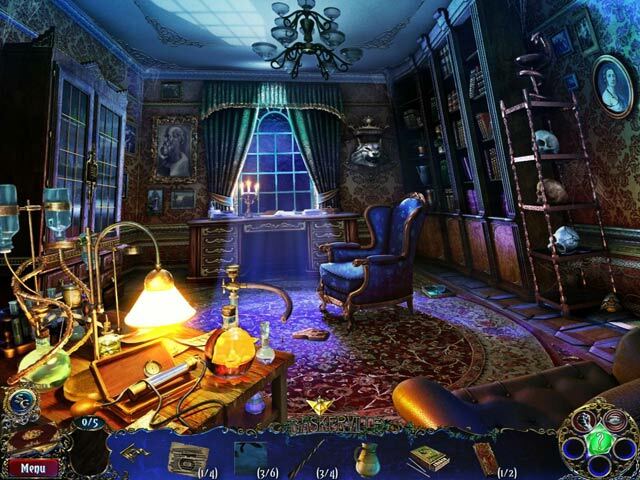 * 12 Free Online Hidden Object Mystery Games no Download Required. * James Patterson Womens Murder Club Games.